At the end of 2018, I sat down to evaluate my financial goals for 2019. You may remember, for 2019 I only have one goal— and it’s a big one! In order to meet my goal for the year, I have to be extremely intentional in my budgeting & spending throughout the entire year. Part of being intentional is doing a spending analysis at the end of every month. 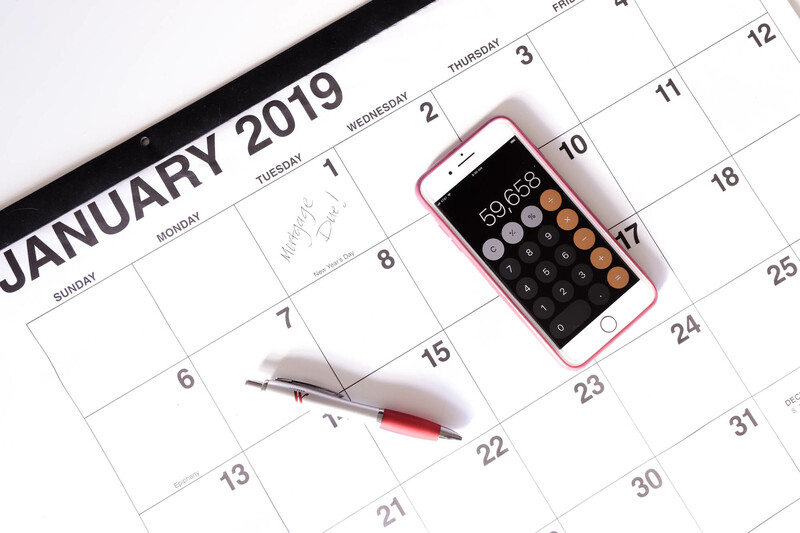 If you have financial new year’s resolutions, it’s very important you know how to do a spending analysis- and do it every month! Before you can analyze your spending, you need everything laid out in front of you. Most banks offer online statements, so make sure you have your statements collected. In addition to your bank statements, you will also need all of your credit card statements. This includes bank credit cards & department store credit cards. If you utilize Venmo or Paypal (or an equivalent), make sure you have all of your records for those purchases as well. Whether you utilize an old school highlighter method, enter expenses into an Excel spreadsheet, or use an app on your phone, the most important part of the analysis is categorizing your spending. In order to create a budget or reduce spending, it’s important to know where the dollars are going each month. I personally enter my expenses into an Excel spreadsheet. I don’t enter them in any particular order, but I do create highlight colors for each category: red= utilities, green= credit card payments, etc. The color you choose isn’t important, but remembering what each color represents is! Tip: You might create a “key” on your spreadsheet to remember what each color represents. After categorizing each expense, I group each color together (there are simple Excel shortcuts to make this an easier & faster process!). I then total each colored column together. After totaling each column, I then go in and rank my expenses. Which column had the highest amount and which had the lowest and everything in between. Obviously I pay the most attention to the column with the highest expenses! For example, in the month of January, my highest expense column was shopping! I know, right. But I also don’t differentiate between personal shopping, work shopping, etc. Ideally, each month you’ll have a spending analysis and can monitor your spending (& saving!) habits. My next blog post will analyze what to do with the information from your monthly spending analysis (spoiler: I’m showing how I already cut $500 from my monthly budget! ).